One color that always takes the stage during the fall season is mustard. This color can brighten up the rainy and cloudy fall days and can definitely make a statement. There are versatile ways of how to wear it, since you can find versatile tops, bottoms, outerwear and accessories in this lovely shade. And since we are always here for you to give you the right styling tips, today we would like to show you how to wear this color. 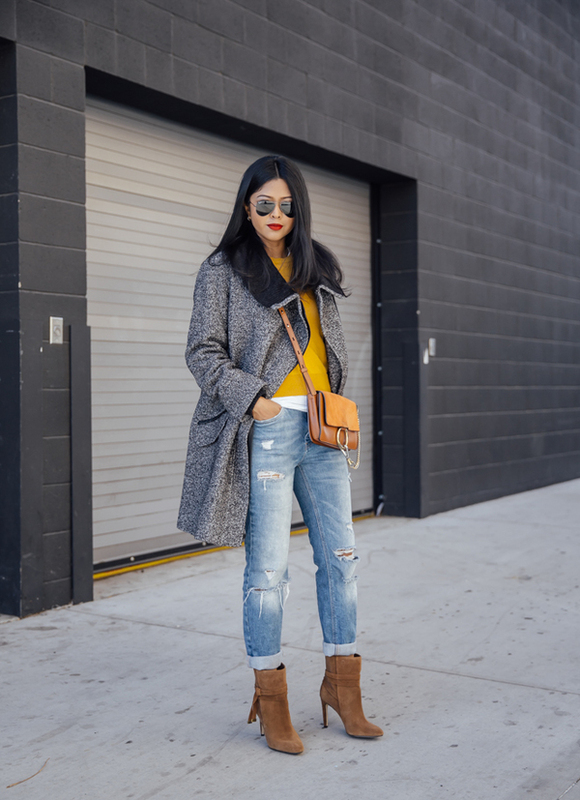 Below, you will find 5 Fabulous Ways To Wear Mustard This Fall and we hope that you will like them. Check them out! One way to make a statement with mustard this fall is to get one such blazer or jacket. Mustard can look good in combo with black, white, grey, burgundy, denim etc., so you can wear your blazer in jacket in versatile ways. And when it comes to the footwear, no need to pair the blazer with such colored shoes. Sweaters are the must-have for fall time, so how about you add a mustard sweater to your fall wardrobe. Style it with your favorite jeans or black pants. Or if you love wearing skirts, you can style it with some leather skirt too. 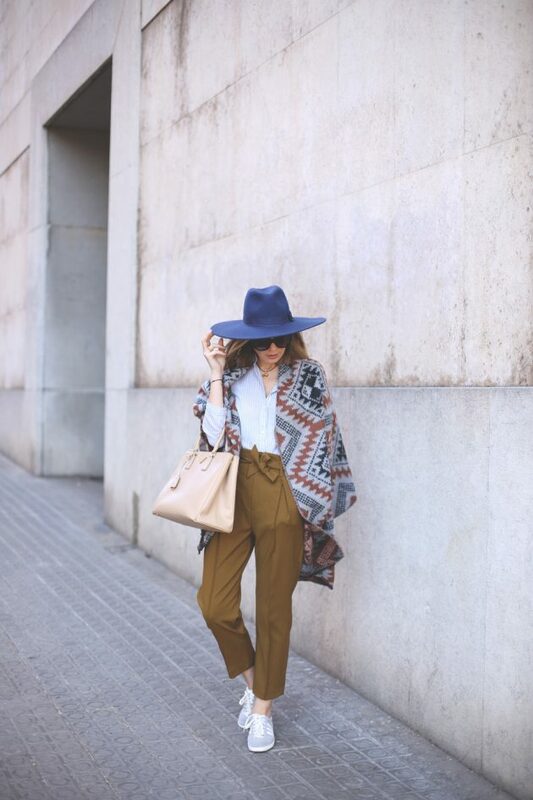 Another way to wear mustard this fall is to get some such pants. They can be found in versatile styles and as such you can style them in different ways. For instance, you can get some paper bag waist ones and wear them at the office. Skirts can be also part of your fall wardrobe. So, you may want to get some mustard one, whether a pencil or A-line skirt. Depending on the rest of your outfit combo and the style of the skirt, you can combine it with heels, ankle boots or over-the knee boots. And in case you don’t want to go bold with this shade, you can at least get some such accessories. For instance, you can get a mustard scarf or maybe one such bag. Wear them with some monochromatic outfits to make them pop out. Or maybe even combine them with some other fall shades, such as burgundy or grey. Mustard is the must-have shade for the fall time, so don not hesitate to wear it. Let us know in the comments which one from the above outfits did you like the best. And of course stay up to date with the content of Fashionsy to keep up with the latest fashion and beauty trends.